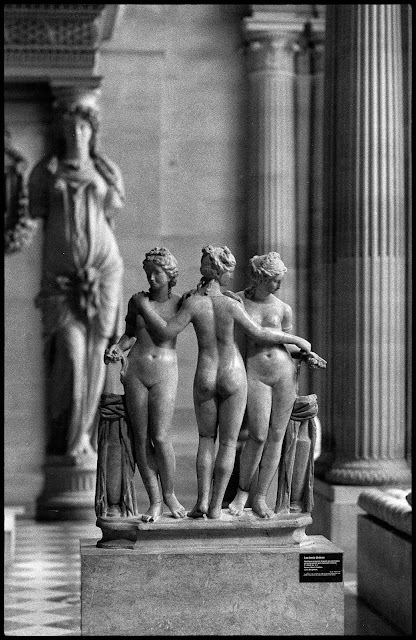 The Visual Science Lab / Kirk Tuck: The Three Graces. An afternoon at the Louvre Museum. Yes, at one time you could actually stand in front of the great works of art and look at them in comfort. Now people are more interested in photographing them then looking at them, no doubt so they can look at them, second hand, back home. Rather misses the whole point.